As a lone blogger how much legal protection do you have? No more than anyone else, when it comes to libel, contempt of court law and so on, except that people are more likely to pay attention to large media organisations. But there are many instances where bloggers have lost a lot of time and money over legal disputes. Last week, for example, journalist and blogger Dave Osler finally saw an end to a legal battle that consumed three years of his life, after he was sued for libel by the political activist Johanna Kaschke. Despite being refused the right to appeal the strike-out of the Osler case, she is still planning to appeal another High Court decision that ended her libel claim against Alex Hilton and John Gray. If all individual bloggers worried about getting into trouble too much, we’d write much less than we do. Even big scary cases aren’t a deterrent: Dave Osler is still blogging. I was personally surprised by the results of my survey of 71 small online publishers this summer. Not that only 27 per cent had been involved in legal disputes (that was about what I expected) but that over half were satisfied with the number of legal resources available. Personally, the grey areas of law trouble me and I don’t think there could be enough support: I’d like to see more organised structures for legal help, a sort of Citizens Advice Bureau for bloggers, if you like. Informal advice is already spreading via social networks, as lawyers increasingly use Twitter and blogs to join the conversation. …just about the best legal advice, which very few follow is to set up a limited company and keep the website inside that. Then you don’t lose your house to a nutter under defamation law…. Another concern of mine is the lack of transparency of courts data, something I’ve discussed at length here. I think bloggers should be able to access more information about cases; at the very least, the Ministry of Justice needs to consider its outmoded contempt of court law that is ill-equipped to deal with the online age. In the coming months, I’d like to build up the conversation in this area and think about how we might approach some of these issues. If you’d like to be part of this informal online ‘working group’ please consider joining the Help Me Investigate challenge at this link (request membership here), or discussing via the OJB Facebook group. UPDATE [Paul Bradshaw]: I’ve created a LinkedIn group as a place for people to more openly discuss how to take this forward. Judith Townend (@jtownend on Twitter) is a PhD research student at City University London and freelance journalist. This entry was posted in online journalism and tagged alex hilton, Contempt of court, courts, dave osler, help me investigate, johanna kaschke, john gray, law, meeja law, survey, talk about local, Will Perrin on September 29, 2010 by Paul Bradshaw. That’s a bit complicated. Originally the blog was set up, more as a straight website, by a member who has long since left the area. It was not working very well at that time, and the ex-member was also asking for quite a lot of money to carry it on. I don’t think the member had any particular background in IT – he was in education, although he has set up a few small websites of his own. I had done some work for it, written some materials and supplied some photographs. My son, who runs a small software company, agreed to take the whole thing into his care for a bit. Things lay dormant and then, when my son had time he simply picked the content up and plonked the whole thing into a WordPress blog – one of the slightly posher ones that you have to pay a bit for, but he has some sort of contract and can get quite a few of these blogs, so the group just pays him a very nominal sum each year. It then sat there for a bit longer with not very much happening except the occasional comment, and then several members pointed out that it was a valuable resource which we were not using properly. This entry was posted in online journalism and tagged acocks green, birmingham, Hyperlocal, Hyperlocal Voices, julia larden on September 27, 2010 by Paul Bradshaw. For the past two centuries journalists have dealt in the currency of information: we transmuted base metals into narrative gold. But information is changing. At first, the base metals were eye witness accounts, and interviews. Later we learned to melt down official reports, research papers, and balance sheets. And most recently our alloys have been diluted by statements and press releases. But now journalists are having to get to grips with a new type of information: data. And this is a very rich seam indeed. Data is a broad term so I should define it here: I am not talking here about statistics or numbers in general, because those are nothing new to journalists. When I talk about data I mean information that can be processed by computers. 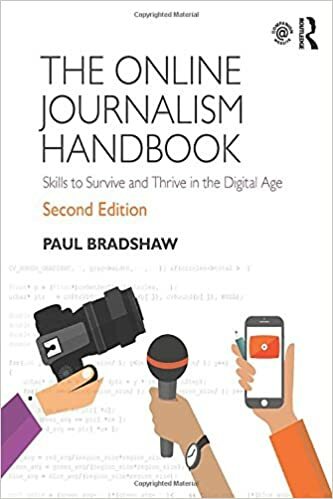 This is a crucial distinction: it is one thing for a journalist to look at a balance sheet on paper; it is quite another to be able to dig through those figures on a spreadsheet, or to write a programming script to analyse that data, and match it to other sources of information. We can also more easily analyse new types of data, such as live data, large amounts of text, user behaviour patterns, and network connections. This entry was posted in data journalism, online journalism and tagged api, bloggers cut, brave news world, brave news worlds, data journalism, Guardian, ipi, New York Times on September 23, 2010 by Paul Bradshaw. Why did you get into data journalism? The flood of information online presents an amazing opportunity for journalists, but also a challenge: how on earth does one keep up with; make sense of it? 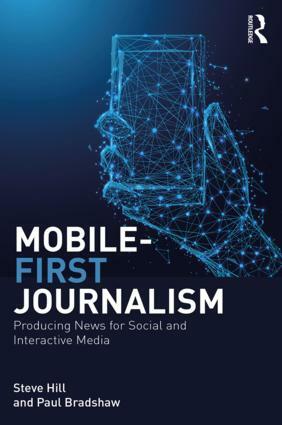 You could go about it in the traditional way, fossicking in individual sites, but much of the journalistic value in this outpouring, it seems, comes in aggregation: in processing large amounts of data, distilling them, and exploring them for patterns. To do that – unless you’re superhuman, or have a small army of volunteers – you need the help of a computer. This entry was posted in data journalism and tagged Charles Arthur, data journalism, jonathan richards, mary hamilton, online journalism book on September 22, 2010 by Paul Bradshaw. This entry was posted in twitter and tagged blogging, henry stewart talks, presentation, RSS, twitter on September 20, 2010 by Paul Bradshaw.